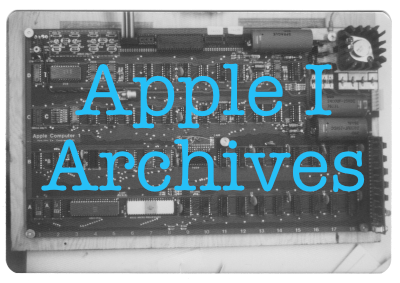 These archives contain the historical documents of the Apple I Owners Club. The table of contents is below. The forward/back links below the table of contents let you navigate page-by-page. Many categories contain sub-categories. The Software and Letters categories, in particular, contain a lot of content.